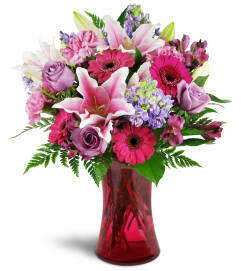 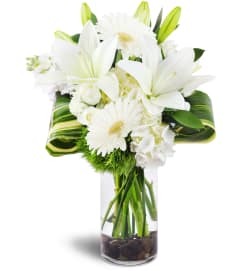 No matter what the occasion, this delightful mixed flower arrangement delivers a happy-making expression of love and caring. 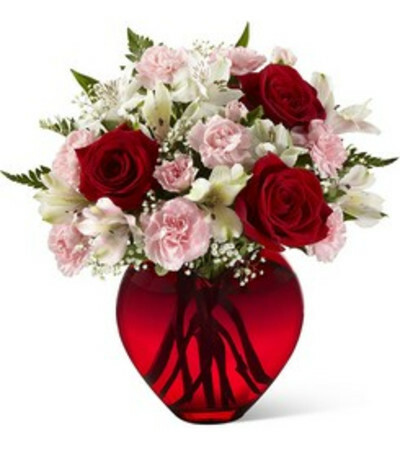 Roses, carnations, lilies with a touch of delicate, lacy baby's breath are beautifully hand-arranged in a red, heart-shaped sculptural glass vase. Perfect for Valentine's Day or any day that love is in season.